On August 20 the Pasadena-based National Public Radio affiliate, 89.3 KPCC, found itself in the midst of something unfamiliar: a public relations imbroglio. That was the day, with little warning, that The Madeleine Brand Show became Brand & Martínez. 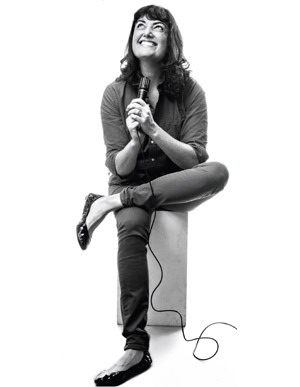 Instead of an hour-long program hosted by a former NPR broadcaster known for her warm tones, offbeat sensibility, and newscasting skill, Brand’s fan base would be listening to her share the mic with A Martínez, a newcomer to the station—and to public radio. long-format interviews, newscentric banter, and cultural coverage to become KPCC’s most popular show, besting even NPR’s Morning Edition. Introducing Martínez with minimal advance notice was risky, especially given the chasm between his style and Brand’s. A former sports-radio guy from ESPN, Martínez speaks with the traditional baritone bounce of (male) commercial radio announcers, which wound up underscoring his initial discomfort with his new role. Like any neophyte (witness the early clips of Conan O’Brien), he rode a steep learning curve, misidentifying interviewees and asking tone-deaf questions that would lead to strained pauses in the conversation. Four weeks in, Brand opted out. On Friday, September 21, she gathered the staff of her show in a conference room at KPCC’s headquarters and, holding back tears, made her announcement: She was leaving immediately. Brand collected a few items from her desk and walked out of the building. A few years ago the CPB spent $2 million on an initiative called LA Public Media to develop Latino-friendly programming, but it produced little more than the sound of silence. So in 2011, Davis took up the challenge himself. He went to the CPB and secured a grant of $1.8 million (renewable in varying amounts for up to three years) to invest in attracting more English-speaking Latinos. “If you just think of the Latino audiences as listening to Piolín and K-LOVE, well, 20 percent of college degree holders in L.A. are Latino,” he says, referring to stations that have long led the city’s Spanish-language market. “It’s a frustrated and underserved media group.” The centerpiece of his plan would be adding a Latino cohost to The Madeleine Brand Show, with its strong ratings and upscale following. Madeleine Brand had been a news host on NPR when she moved back to L.A. in 2006 (she had spent her childhood in the Hollywood Hills) to share hosting duties on Day to Day. Produced in Culver City at NPR West, the show was a more conversational version of the news program Morning Edition that showed off Brand’s knack for serious interviews—and for lightening the morning commute with her full-throated laugh. When fans protested almost two years later as NPR prepared to end the show, the commotion wasn’t lost on KPCC’s president. Davis, a six-foot-six former collegiate water polo player, has emerged as a formidable figure in public broadcasting. When he took control of KPCC a dozen years ago, it was a sleepy community college station run on a shoestring budget. In terms of listenership and fund-raising, the NPR affiliate was already outpacing crosstown rival KCRW, based in Santa Monica. But not in terms of heat. While KCRW had created multiple programs and was syndicating shows like To the Point and Left, Right & Center, KPCC had comparatively little original programming beyond Larry Mantle’s AirTalk; instead the station’s lineup relied heavily on such public radio staples as A Prairie Home Companion, Car Talk, and others. Brand, who lives with her husband and two children in Silver Lake, seemed a perfect opportunity for Davis to broaden the station’s reach in the region. Davis has helped recruit a board for KPCC that includes powerful philanthropists such as fund manager Gordon Crawford and education advocate Megan Chernin, wife of media mogul Peter Chernin. Recently Davis has pushed to make the station into the city’s most dynamic news source, hiring former Los Angeles Times editor Russ Stanton and former Sacramento Bee editor Melanie Sill to fill a gap created by the decimation of the Los Angeles Times’s newsroom. Today, broadcasting from a state-of-the-art studio built in 2010, KPCC ranks as the second- or sometimes third-most-listened-to public radio station in the nation, behind San Francisco’s KQED and New York’s WNYC. But the search for someone with the reporting and broadcasting skills to cohost with Brand dragged on for months. The station even missed its first CPB deadline. Then Craig Curtis, the program director, mentioned a guy he’d heard on ESPN Radio. The 40-year-old son of Ecuadoran immigrants, A Martínez had spent his career in sports radio. He didn’t champion Latino causes, had no news background, and wasn’t familiar with Brand’s show; Martínez didn’t tune into public radio much at all. However, some in management saw this as a chance to bring in new perspectives, and Martínez (his given name is Jorge) seemed like a quick study. Brand, who’d met with him twice, received word of the choice via e-mail. Anyone accustomed to Brand’s clever exchanges with guests like the Sklar Brothers were hearing none of that with her new cohost. Brand & Martínez was devoid of chemistry, the pair seemingly miles apart. The strain wasn’t limited to his interactions with Brand. During a lunch with the show’s staff at a nearby café, Martínez offered his unabashed support of steroid use in pro sports (a view he espoused often on ESPN) while the rest of the table sat in stunned silence. Brand had never discussed her departure with Martínez. Inside the radio booth of that final episode, there was only tension. The two barely spoke. For the entire broadcast, which had recently expanded to two hours, they sat across from each other without acknowledging that this would be the end of their stint together. The following Monday, anyone tuning in at 9 a.m. heard Martínez announce that Brand had left the show “to pursue other career opportunities,” a line that seemed awfully corporate for an organization devoted to delivering unbiased news. 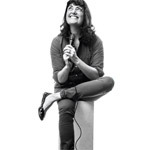 Her replacement was Alex Cohen, a former Day to Day host who had been picked up by KPCC as an afternoon personality. Management had to scramble so fast to replace Brand that it would be days before they could settle on naming the new show Take Two. An overstatement, perhaps. Latino listenership grew from 7 percent in August to 20 percent in October during the 9-to-10 slot; in fact, overall, 7,000 more people tuned in to The Madeleine Brand Show for at least five minutes that month than they did in August, though audiences tend to spike before presidential elections. Still, things were looking shaky those first weeks. On September 28 Davis went on Larry Mantle’s show to insist that Brand had left not because she was discontent with the new format but because she had received compelling job offers. “To quote Sigmund Freud, sometimes a cigar is just a cigar, Larry,” Davis said. Others might quibble over the sequence of events, but since decamping, Brand has been contributing pieces to SoCal Connected, the public television program on KCET. She’s also in talks with KCRW to launch a program in the same 9 a.m. slot as Cohen and Martínez. “It will be just like The Madeleine Brand Show, but better,” she says with maybe a hint of something beyond enthusiasm in her voice. Because in the well-mannered world of public radio, those are fighting words.